Buying a first home is a huge milestone in one’s life. Whether the home is for someone who is single, or for a family of 3, the excitement level remains the same. What better way to celebrate this milestone in your loved one’s life than to attend their housewarming party. Take a moment and think back to when you had your first apartment. What did you have in your apartment at that time? More than likely, you didn’t have too much of anything. Getting out of your parents’ house and into your own apartment was your top priority. Accomplishing this goal showed your parents that you had worked hard and were responsible enough to get the apartment on your own. Yes, it may have been a little hard to leave the nest, but once you did it, you felt an immediate surge of independence. The next step was to make your apartment look and feel like your own, but furnishing your apartment was expensive. A housewarming party sure would have came in handy then, but instead, you had to purchase things a few items at a time. Eventually, your little apartment felt like home. When someone is going through the milestone of buying their first home, they want to share the excitement with their friends and family. 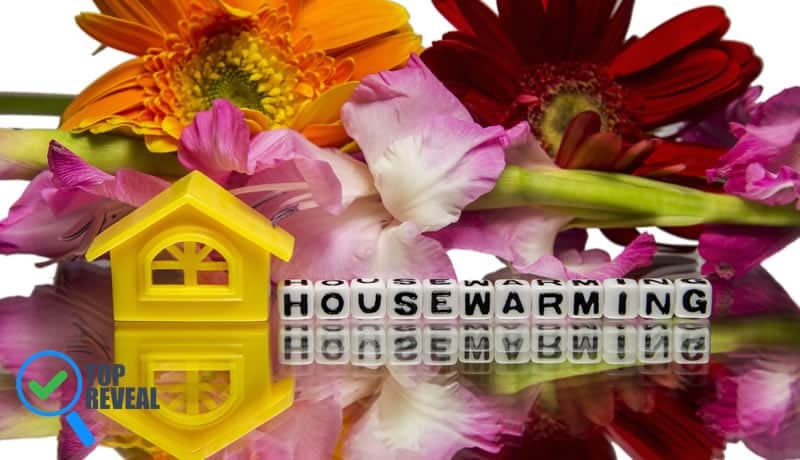 There is absolutely nothing wrong with them sharing that excitement by having a housewarming party, and allowing those beloved friends and family members to shower them with gifts of help them get started as homeowners. The next time you have a housewarming party to attend, make sure you bring at least one of these top housewarming gifts. Pressure cookers are one of the top gifts for housewarming parties for a reason. They allow you the luxury of preparing a meal with little to no effort. It does everything for you. As a new homeowner, you will appreciate the amount of time you save. You can prepare a good home cooked meal while hard at work decorating another area of your house. This is a gift that is perfect all year round. You can make chili, stew, soup, and any kind of meat in a pressure cooker. It’s definitely a “set it and forget about it” kitchen staple. If you want to earn unlimited visits to the new home, get the freshly minted homeowners a pressure cooker. They will love you for it! You want the new homeowners to feel comfortable in their own home, and buying them opulent bedding sets will put their comfort levels at an all time high. The bedroom is supposed to be a place of relaxation. As new homeowners, they’ve already gone through the hassle of finding the perfect location, the back and forth of negotiations, and the disappointments of getting their hopes up too high. The last thing they want to have to worry about is getting a good night’s sleep, so help them out with elegant, sumptuous sheets that will guarantee a refreshing slumber. When purchasing a set for them, think minimalist and neutral so that it can fit their style, whatever their style may be. Nothing says, “it’s a celebration” like the clinking of glasses. There aren’t any special occasions unworthy of a toast, and being a new homeowner is definitely the perfect time to raise a glass. Wine glasses aren’t hard to find, but to make your wine glass set stand out from the rest, you can get your loved ones’ first name or last name imprinted on the glass. This will show that you not only went and bought them a very nice gift, but you also put effort into making their house a home. Having plants in the house adds an extra layer of tranquility to a home. They tend to brighten and liven any living space. Orchids make for a perfect housewarming gift. They symbolize love, beauty and luxury. Those are all sentiments that anyone would be happy to have in their home. Orchids don’t require too much maintenance, so they won’t take a serious investment of time or effort for them to make a home beautiful. For an already beautiful home, giving the gift of an orchid will not only add more beauty to it, but will be a memorable addition to your loved ones’ home, as well as a keepsake of your thoughtfulness. Here’s a tip: be mindful of the plant you choose if they have small children or pets because some can be poisonous. You can’t go wrong with a gift card. These are the perfect gift when you have no clue as to what the homeowners’ style, needs or wants are. This allows you to still participate in the sharing of joy, without showing up empty handed. You may not know if they’re going for a modern kitchen or a rustic kitchen, but you probably know what stores they shop at frequently. Giving them a gift card to those stores is just as thoughtful as going there and purchasing something yourself. Ultimately, housewarming gifts are about you sharing a moment in someone’s life that you care about. The gift is merely you congratulating them on this monumental moment. The gift will be part of the house, but you sharing that joy is what will make it a home for them.